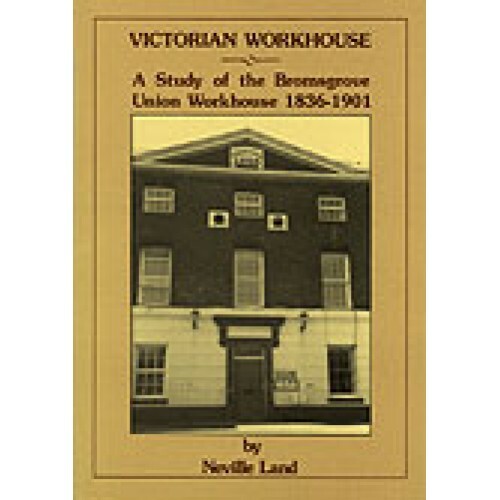 In this carefully researched and fully illustrated history of the Bromsgrove workhouse, Neville Land charts the changing social role through the years of a well known Victorian Institution. 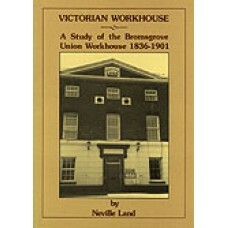 The Bromsgrove Wesleyan Methodist Circuit Plan of 1872 shows places of worship at Belbroughton, Bournheath, Bromsgrove, Broomhill, Catshill, Dodford, ..
Kellys Directory of Birmingham & Suburbs (1872) Comprehensive directory of residents and traders for Birmingham and the surrounding are..
Kellys Directory of Birmingham & Suburbs (1884) Comprehensive directory of residents and traders for Birmingham and the surrounding are..
Lewis's Directory of Worcestershire - Part 1, 1820 A very early directory of the City of Worcester, with additional sections for Droitwich, Broms..
Pigot's Directory of Worcestershire (1828-9) A very early and rare directory which covers the market towns and principal villages of ..
Bentley's Directory of Worcestershire (1840-1842) Here we have all seven volumes covering Worcestershire on one CD (Bromsgrove, Evesham, Du..
Bromsgrove, St.John The Baptist Poor Law Records Note - Some pages are very feint This is a downloadable PDF file (approx. 3.5MB, 90 p..
Worcestershire Bishops Transcripts Beoley Baptisms+Burials 1868 Bromsgrove Baptisms+Burials 1868 Lickey Baptisms 1867-68, Buri..